Find the latest news from NNIT. This press release expands upon Company Announcement 6/2019, published April 24, 2019, 10.00 a.m. CET. NNIT A/S announces that it has acquired Halfmann Goetsch Partner AG (HGP). The acquisition provides NNIT with a stronger presence in European life sciences hubs Frankfurt and Basel, and strengthens its position as an international leading IT transformation partner for life sciences companies. HGP, recognized and referenced as one of the strongest providers of IT compliance and quality management services to primarily pharmaceutical companies, is headquartered in Basel close to NNIT’s Swiss office in Zürich. Furthermore, the company has delivery centers in Frankfurt and Singapore, and a nearshore office in Krakow. 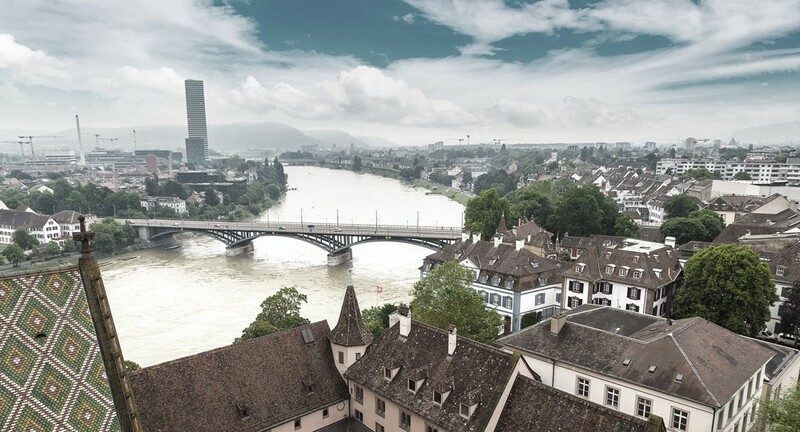 HGP started out in Basel in 2008 as a business consultancy dedicated to IT compliance services to the pharmaceutical industry, and clients include companies such as Merck, Novartis and Hoffmann La-Roche. With more than 10 years in business, the company employs 70 experts with extensive experience delivering highly specialized offerings such as Information Risk Management, Computer System Validation (CSV), Manufacturing Execution Systems (MES) Implementation, Data Privacy (GDPR), Data Integrity, Good Manufacturing Practices, Track & Trace and Audit Readiness. 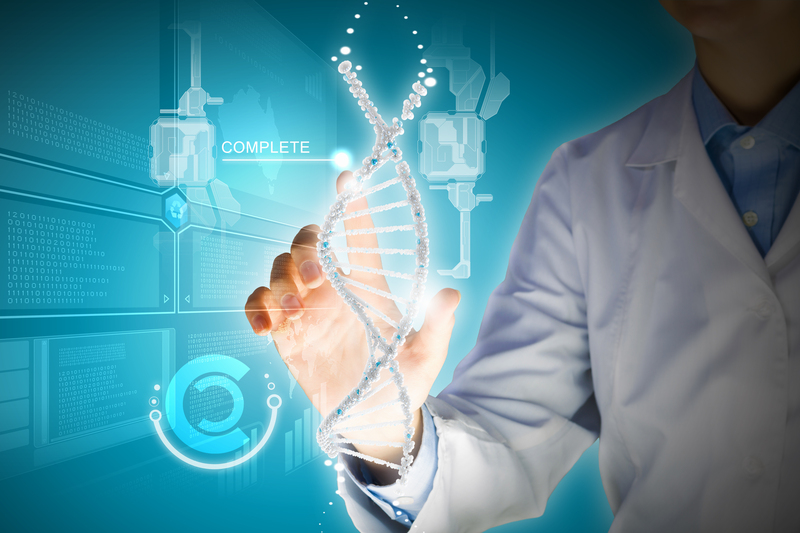 Data collection intensifies within life sciences, and at the same time regulatory requirements increase with industry-specific regulation and general data privacy laws. 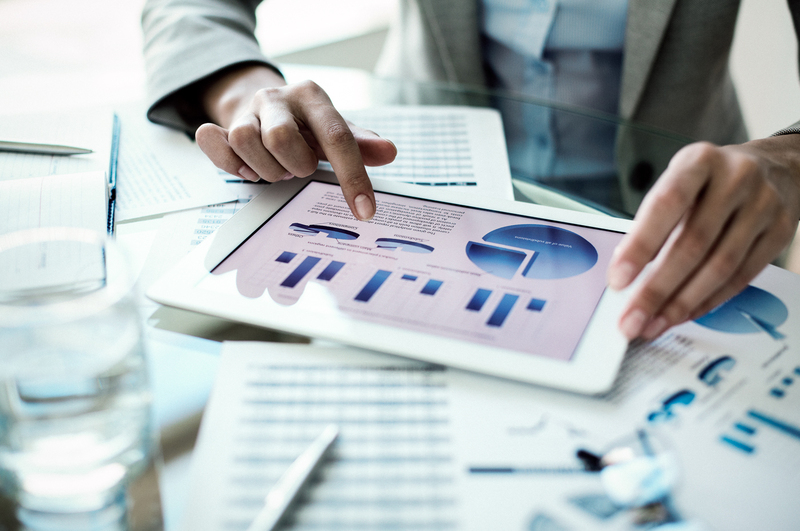 As the technological opportunities and the pressure for legal compliance increase, the market for risk management and validation of data systems grows significantly. With a flexible consultancy base and access to top subject matter experts from across the international life sciences IT arena, Halfmann Goetsch Partner AG offers the industry leading approach to compliance excellence. Combined with NNIT’s existing quality management portfolio, HGP’s excellence, reputation and network within IT compliance is expected to generate cross sales synergies. Synergies are also expected within pharmaceutical production, where HGP’s thought leadership fits well with NNIT’s existing portfolio of IT-services. Following the acquisition HGP will be integrated in NNIT, and management will continue in the leadership of the European life sciences business. 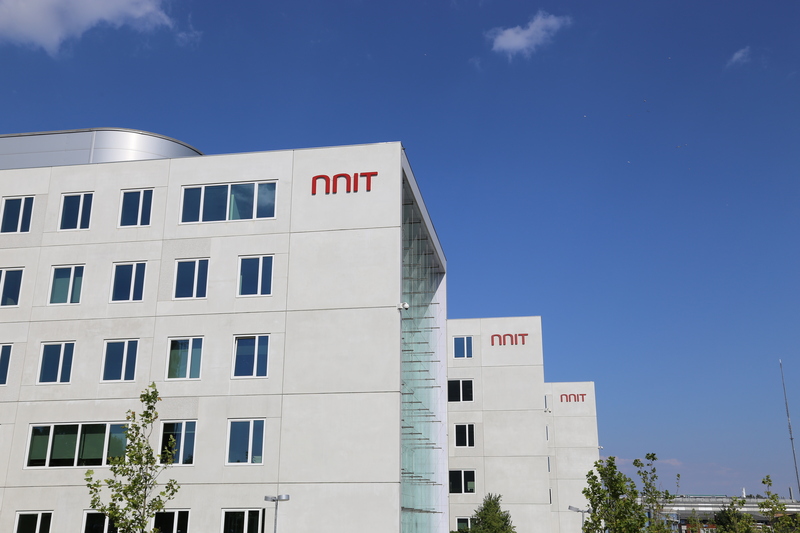 In May 2017, NNIT acquired SCALES Group. In October 2018, NNIT acquired Valiance Partners. Copenhagen, January 9, 2019 – NNIT enters into partnership with Virsabi focusing on Life Sciences and Danish manufacturing companies. As a leading provider of IT services and consultancy NNIT thereby adds Virsabi to its group of partners specialized in transforming technology. Virsabi is one of the first companies offering consultancy, advisory and technical development for the utilization of virtual reality and augmented reality. With the advanced solutions employees will be able to assist one another and collaborate in a virtual space. Technicians will, for example, be able to help each other in highly specialized production environments across continents. The technology also allows for training to take place in a safe virtual environment without interrupting daily operations. 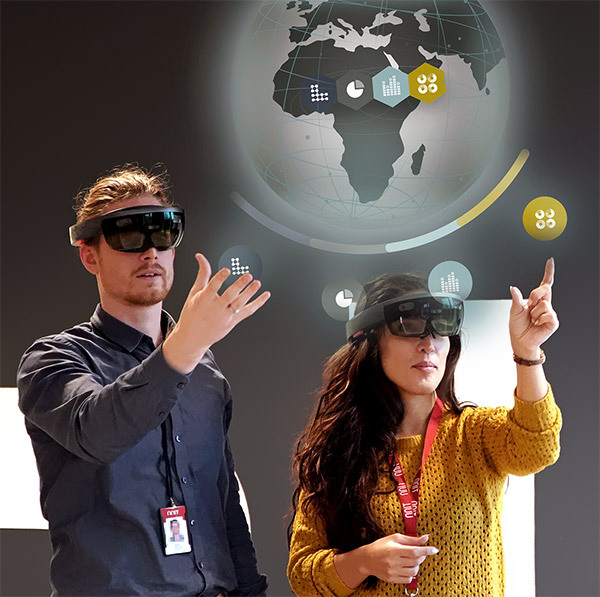 The partners have initiated the first joint assignment where they test and implement solutions based on augmented reality for the production environment in a company from the life sciences industry. The order backlog for 2019 at the beginning of Q1 2019 declined by DKK 41.7 million to DKK 2,171 million, or by 1.9%, compared to the order backlog one year earlier. Including the recent extension of the infrastructure outsourcing agreement with DSB the backlog increases by 0.2% compared to last year. The backlog development is impacted by a decline in multiyear outsourcing agreements, while business coming from projects with low backlog visibility increases. The guidance for 2019 revenue growth is 3-6% in constant currencies and excluding potential new acquisitions in 2019. The operating profit margin in constant currencies is expected to be in the range of 10-10.5%. Investments / revenue is expected to be 5-7% of revenue. The guidance is based on a number of important assumptions, including that relevant macroeconomic trends will not significantly change business conditions for NNIT during 2019, that business performance, client and competitor actions will remain stable and that key currency exchange rates will remain at the current (as of January 23, 2019) levels versus Danish kroner. There is no long-term revenue target for the Novo Nordisk Group, but as usual we will provide full-year guidance for total revenue growth at the beginning of each year in connection with the release of the annual report. 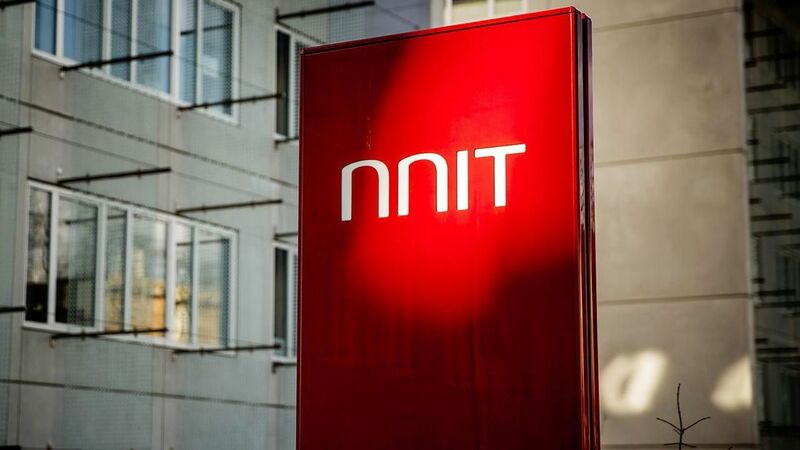 NNIT will host a teleconference January 30, 2019 at 10:30 CET about the financial report for 2018. Please visit the NNIT webpage at www.nnit.com to access the teleconference, which can be found under ‘Investors – Events & presentations’. Presentation material will be available on the website approximately one hour prior to the start of the presentation. This announcement contains forward-looking statements. Words such as ‘believe’, ‘expect’, ‘may’, ‘will’, ‘plan’, ‘strategy’, ‘prospect’, ‘foresee’, ‘estimate’, ‘project’, ‘anticipate’, ‘can’, ‘intend’, ‘outlook’, ‘guidance’, ‘target’ and other words and terms of similar meaning in connection with any discussion of future operating or financial performance identify forward-looking statements. Statements regarding the future are subject to risks and uncertainties that may result in considerable deviations from the outlook set forth. Furthermore, some of these expectations are based on assumptions regarding future events which may prove incorrect. Please also refer to the overview of risk factors in the ‘risk management’ section on page 33-35 in the Annual Report 2018. Having completed a deep strategic review throughout the second half of 2018, NNIT is now launching a new ambitious strategy. To support the new strategy, we will change the global organization in order to rapidly respond to customer needs and remain fit for accelerated growth. The fundamentals in our value proposition to our shareholders are kept intact, but with our new 2022 strategy we intensify our focus on IT for international life sciences and Private & Public sector in Denmark. Profitable organic growth will still be imperative, but so will strategic acquisitions supporting our core competencies. NNIT is the third largest IT services provider in Denmark, and global macro trends continue to impact our own business as well as our clients. Digital transformation and the need to digitally transform to fuel growth by innovation are key factors in order to remain competitive. 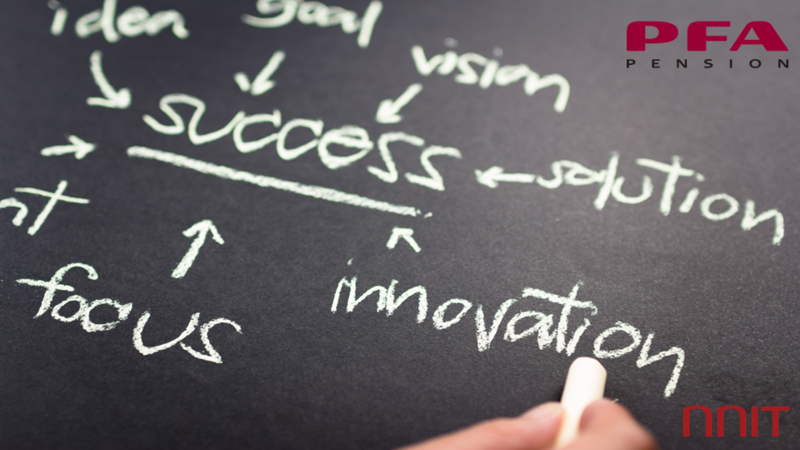 We will continue to embrace innovation in several ways, from the business case approach to internal entrepreneurship, and from co-creation to the use of strategic acquisitions. Common to our approach is the desire for increased customer proximity, and we are therefore changing our organization to make it even more customer centric and to support accelerated growth in life sciences. In general, the international life sciences market is characterized by high entry barriers for competitors. This is due to the complexity, the high levels of regulation and the high quality requirements. In NNIT we are very well-positioned because of our strong domain knowledge that originates from our own life sciences legacy. We were born out of life sciences. This is why it is an attractive market for NNIT to compete in. Historically, we have delivered more than 20% organic growth in international life sciences. We have an ambitious plan to continue this growth as we are scaling up our operations in Europe, US and China. In addition to organic growth, we also pursue acquisitions within our core international life sciences markets of Europe and the US, which can help accelerate our growth in this segment even further. Our core offerings within infrastructure and application outsourcing, advisory, business solutions and support constitute the main part of our business. This full scale service offering enables us to provide both focused specialist support and broader integrated solutions. With continued stable operations and agile delivery we want to continue growing our market share within both the private and the public sector in Denmark. The IT market and customer needs continue to transform at increasing speed. We will build on and strengthen our innovation capabilities to significantly grow the level of new high margin offerings that we bring to the market. In 2022 we target 500m DKK of our revenue to come from new innovative offerings. Technology within automation and artificial intelligence, AI, is steadily maturing. At NNIT, we leverage this technology to enable less manual work, more streamlined processes and lower costs while minimizing the risk of errors. We will continue to build capabilities internally while leveraging external partnerships to ensure access to the latest technology. To ensure that NNIT’s business remains competitive, we constantly optimize our delivery, sales and support functions. Through our excellence programs, we will continue to challenge and improve the way we work. 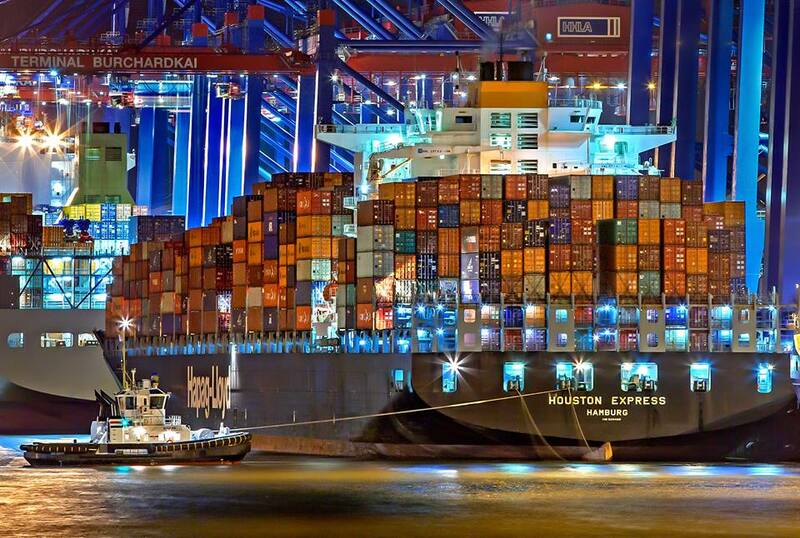 Through our flexible global delivery model witharound 50% of our full time employees based in offshore and nearshore countries, we will ensure that we are able to meet our clients’ requirements of cost efficient, high quality and flexible delivery. NNIT was born out of Novo Nordisk in 1998, and Denmark’s largest pharmaceutical company remains an important client for us. Through innovative solutions and state-of-the-art delivery models we are committed to remaining relevant and competitive within our current services as well as new services supporting Novo Nordisk’ digital transformation. 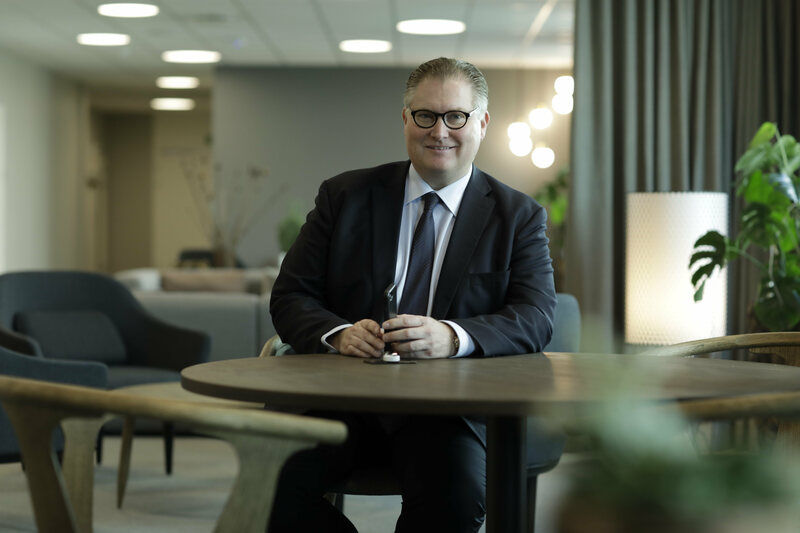 There is no long-term revenue target for the Novo Nordisk Group, but a short-term guidance for total revenue growth will be provided at the beginning of each year in connection with the release of the annual report. To support the strategy, NNIT will change the global organization in order to rapidly respond to customer needs and remain fit for accelerated growth. A dedicated Life Sciences unit delivering to both the Novo Nordisk Group and our other life sciences clients in Denmark as well as internationally. These two units will be responsible for both sales and delivery management. They will have full P&L responsibility for all clients. The new organization will be effective as of March 1, 2019. As a result of the organizational changes, NNIT Group Management will be extended and responsibilities aligned with the new organization. Per Kogut will continue as CEO and President. Carsten Krogsgaard Thomsen will continue as CFO, Executive Vice President, heading the Finance, Legal, Investor Relations and Procurement unit. Brit Kannegaard Johannessen will continue as Senior Vice President, heading the People, Communication, Marketing, IT and Quality unit. The Life Sciences unit will be headed by Senior Vice President Ricco Larsen. The Private & Public unit will be headed by Senior Vice President Jacob Hahn Michelsen. The Projects and Consulting unit will be headed by Senior Vice President Claus Middelboe Andersen. 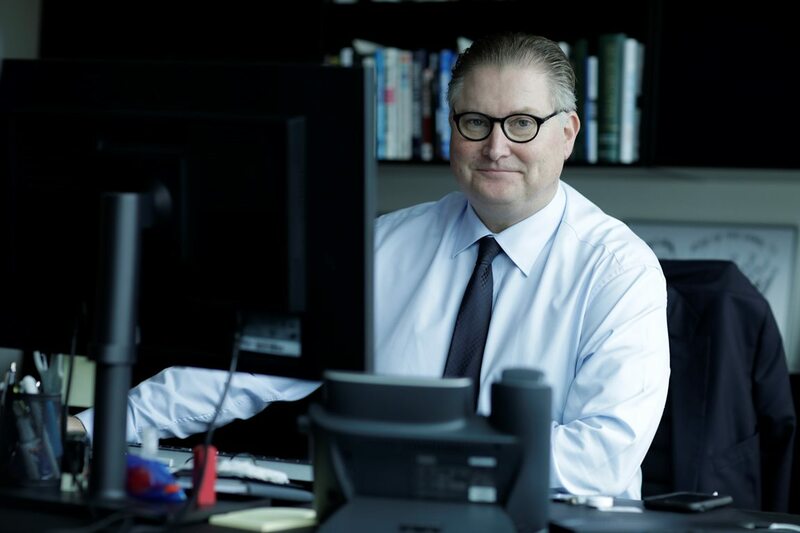 The Infrastructure and Application Services unit will be headed by Søren Østergaard, who is appointed Senior Vice President. He has been with the company for more than nine years, most recently as General Manager for NNIT’s operations in China since June 2017. With the appointment of Søren Østergaard, NNIT’s Group Management now consists of Per Kogut, CEO and President, Carsten Krogsgaard Thomsen, CFO and Executive Vice President, Brit Kannegaard Johannessen, Senior Vice President, Ricco Larsen, Senior Vice President, Jacob Hahn Michelsen, Senior Vice President, Claus Middelboe Andersen, Senior Vice President and Søren Østergaard, Senior Vice President. Executive Management is still Per Kogut, CEO and President and Carsten Krogsgaard Thomsen, CFO and Executive Vice President. Operating profit margin in the life sciences segment will be substantially higher than in the Private & Public segment due to the regulated nature, high complexity and our strong domain knowledge within the life sciences segment. Comparison figures for 2018 will be restated to the new reporting structure above when reporting Q1 2019. 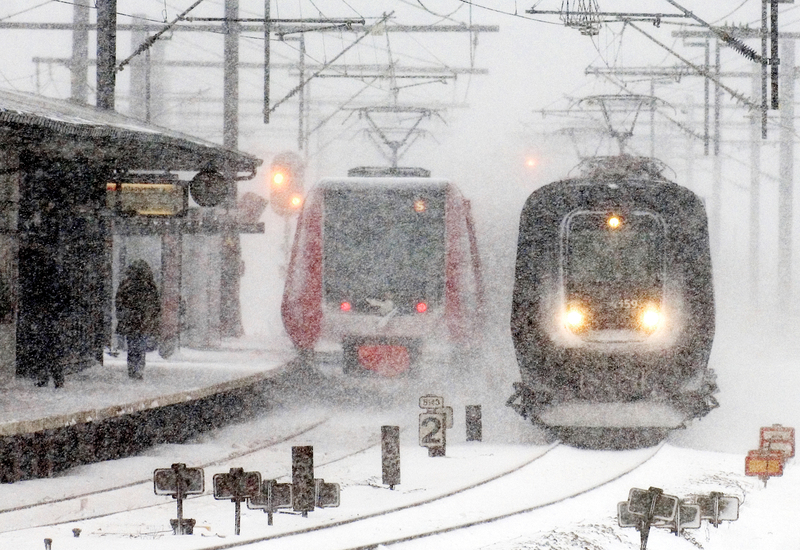 Copenhagen, January 22, 2019 – NNIT, a leading provider of IT services and consultancy, announces that it has signed an extension of its agreement with DSB. The parties’ existing five-year contract was entered into in the spring of 2012 with an opportunity for extension. In March 2016 DSB and NNIT agreed to extend the collaboration further from April, 1, 2017 to March 31, 2019. The collaboration has now been extended with an additional two years until March 2021. NNIT A/S delivers innovative and robust solutions to the life sciences sector internationally and to customers in the private as well as the public sector in Denmark, including operation of the third generation of the public digital infrastructure backbone, which makes Denmark one of the world's most digitized societies. NNIT A/S has more than 3,200 employees globally. 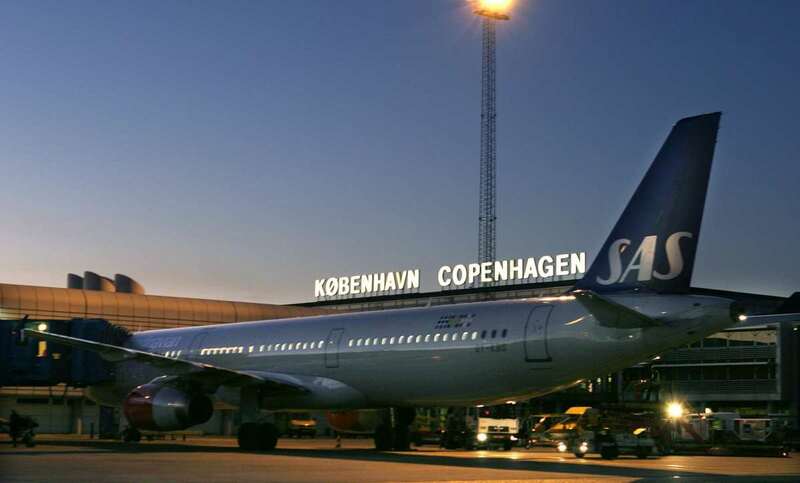 Copenhagen, January 21, 2019 – NNIT A/S,a leading provider of IT services and consultancy, has signed a contract about handling of the IT work stations for SDC, serving banks and finance companies in the Nordic countries including Denmark. SDC has signed a contract with the leading provider of IT services and consultancy. 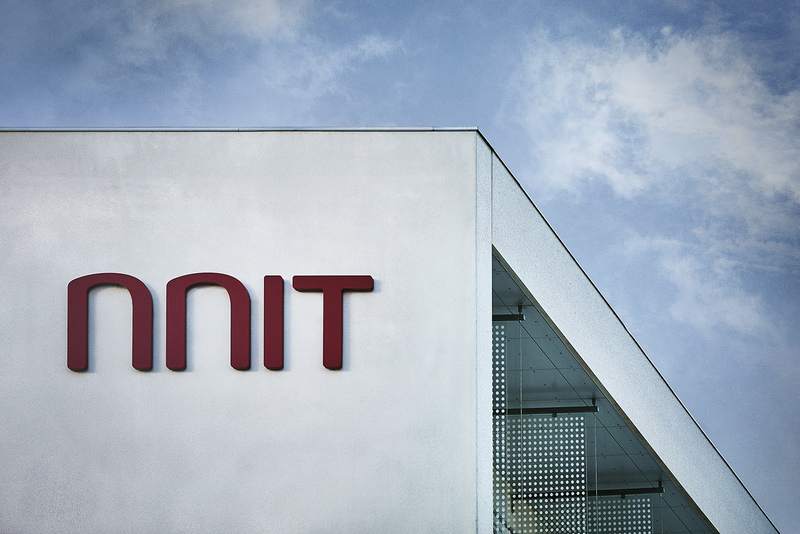 Following to the agreement, NNIT will over the next five years handle daily operations, maintenance and support for more than 6.000 IT workstations in the Nordic finance sector. Furthermore, NNIT will handle all Citrix management according to the contract. SDC A/S is the parent company of the Group, whose main activities comprise development, maintenance and joint purchase of IT systems and related services for more than 120 banks in the Nordic countries. The Group is owned by its customers and users, who are made up of a large number of small and medium-sized financial institutions in Denmark, Sweden, Norway and Faroe Islands. In 2017, the group’s turnover was DKK 1.4 billion. NNIT has for the past decade served clients in the finance segment such as PFA and Danske Bank and recently (December 2018) signed an agreement with AP Pension. Beyond the finance sector, NNIT A/S focuses on innovative and robust solutions to the life sciences sector internationally and to customers in the private as well as the public sector in Denmark, including operation of the third generation of the public digital infrastructure backbone, which makes Denmark one of the world's most digitized societies. NNIT A/S has more than 3.200 employees globally. Copenhagen, December 12, 2018 – NNIT, a leading provider of IT services and consultancy, enters into agreement with AP Pension, one of the biggest pension institutions in Denmark. While pension customers expect individualized solutions that are simple and transparent, products grow increasingly complex. In order to handle customers optimally in a market, which is highly regulated, the companies must streamline processes and focus on data and configure IT for innovation. AP Pension has therefore worked carefully on the selection of the right outsourcing partner who can modernize the IT-systems and secure access to highly specialized it-people, while the organization achieves higher scalability and resources released for business development. According to the agreement, which was approved by AP Pension’s Board of Directors on December 11, NNIT will take over responsibility for the company’s infrastructure, including server-, network- and datacentre operations, application development, service desk, and onsite services. Furthermore, NNIT will assume nine employees from AP Pension. Over the next five to seven years, the contract’s estimated total value will reach a lower three-digit DKKm amount. Michael Buksti, Communications Director, AP Pension, +45 40 90 29 48. NNIT will host a teleconference October 25, 2018, at 10:30 CET about the financial report for the first nine months of 2018. Please visit the NNIT webpage at www.nnit.com to access the teleconference, which can be found under ‘Investors – Events & presentations’. Presentation material will be available on the website approximately one hour prior to the start of the presentation. October 24, 2019 Interim report for the first nine months of 2019. This press release expands upon NNIT Company Announcement 9/2018, published October 9, 2018, 2.00 p.m. CET. Copenhagen, October 9, 2018 - NNIT A/S announces that it has acquired Valiance Partners, LLC (Valiance Partners) The acquisition will lift NNIT’s growth and strengthen its position as a leading IT services provider for the global life sciences industry. Valiance Partners, headquartered in New Jersey close to NNIT’s US office, is recognized and referenced as one of the strongest providers of migration services for the rapidly growing Software-as-a-Service (SaaS) platforms to primarily pharmaceutical companies. Over the past three years, Valiance Partners has grown by more than 40% annually, working with many of the largest pharma companies in North America, Europe and Japan. The demand for migration services has increased significantly during the past couple of years, as more and more life sciences companies implement cloud-based platforms to collect and integrate data and transform business processes. Valiance Partners – ranked among the fastest-growing companies in the US - has managed and successfully completed more than 500 migrations for over 100 clients, including many of the world’s leading pharmaceutical, medical device and biotechnology companies. One of the key platforms supported by Valiance Partners’ proprietary software is Veeva Vault, a unified suite of applications for clinical, regulatory and quality, which enables companies to drive greater efficiency and maintain compliance throughout the product lifecycle. Following the acquisition, Valiance Partners, LLC will continue its current business and work closely with NNIT to realize cross-sales synergies. 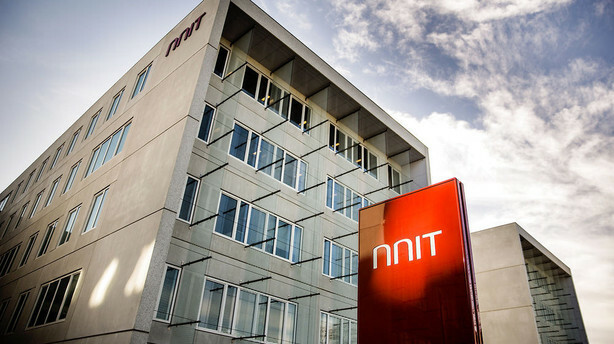 In May 2017, NNIT acquired SCALES Group. Copenhagen, October 1, 2018 – NNIT A/S has achieved the final part of the operational certification for Data Center II situated in Ejby, Denmark. It’s the second time within less than a year for the leading provider of IT services and consultancy to achieve full Tier 3 certification for one of its data centers. This tier III certification, which completes a year-long process, has focused on documentation for world-class design, facility, and operations for the people working in the data center. According to the organization behind the certification, the internationally acknowledged UptimeInstitute, around 70% of the registered incidents in data centers are caused by humans. The data center situated close to Copenhagen has previously achieved the rare and prestigious certification for its “design” and “facility”, which is now accompanied by operational certification. NNIT achieved the full official Tier III certification through UptimeInstitute, an internationally acknowledged and unbiased advisory organization. NNIT A/S is one of Denmark's leading IT service providers and consultancies. NNIT A/S offers a wide range of IT services and solutions to its customers, primarily in the life sciences sector in Denmark and internationally and to customers in the public, enterprise and finance sectors in Denmark. NNIT A/S has more than 3,100 employees. Watch video fromNNIT's data center for public and private digital transformation. The Board of Directors has decided to pay an interim dividend for 2018 of DKK 2.00 per share corresponding to DKK 49.1m. NNIT will host a teleconference August 17, 2018 at 14:00 CET about the financial report for Q2 2018. Please visit the NNIT webpage at www.nnit.com to access the teleconference, which can be found under ‘Investors – Events & presentations’. Presentation material will be available on the website approximately one hour prior to the start of the presentation. Copenhagen, August 14, 2018 – NNIT, a leading provider of IT services and consultancy, announces a strategic partnership with ValGenesis Inc., a pioneer in paperless validation software systems. Validation activities in the life-sciences sector are still almost entirely manual and paper-based, and the process is usually inefficient, costly and prone to error. As the global leader in Enterprise Validation Lifecycle Management Solutions (VLMS), ValGenesis enables companies to manage their entire IT validation lifecycle electronically. The cloud-based ValGenesis solution helps life sciences companies eliminate the use of paper and remove the inefficiencies that plague today’s IT validation processes. It enables rigorous compliance, helps to address data integrity concerns, improve consistency and reduce validation cycle time significantly. As the preferred global partner to ValGenesis, NNIT will integrate the paperless validation software within its suite of services for the pharmaceutical and biotech industry. The training and cooperative efforts will focus on NNIT’s 200+ validation consultants and sales force in Europe. The two companies already have good experience working together in the US market, where ValGenesis’ software has been implemented by ten out of the top 20 pharmaceutical companies. “Not only does ValGenesis allow life sciences companies to manage their validation processes electronically; it significantly reduces the validation cycle time and cost, eliminates potential data integrity issues in the validation process, enables standardization and enforces consistency and compliance in the corporate validation process. We look forward to expanding our footprint and provide top-notch local support to our customers by partnering with NNIT, a leading provider of IT services and consultancy to the global life sciences industry with exceptionally strong positions in Europe and China,” explains Siva Samy, Ph.D., CEO at ValGenesis. 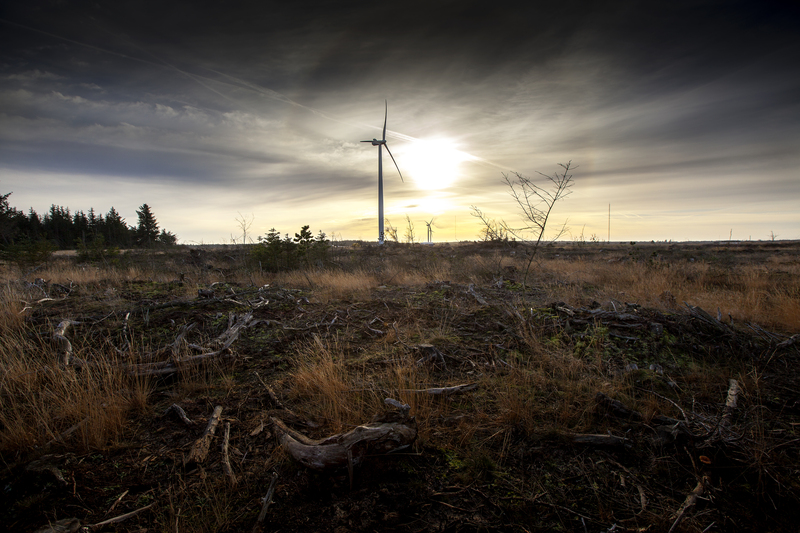 NNIT has approximately 400 clients of which around 150 are located outside Denmark. Some 20% are international life sciences clients (June 2018). Shanti Mulyadi, ValGenesis – Communication, Ph: 510 445 0505 Ex. 1015, Shanti.mulyadi@valgenesis.com. Copenhagen, May 30, 2018 – NNIT, a leading provider of IT services and consultancy, has signed a contract with the Danish Agency for Digitisation on it-infrastructure operation of the next generation of NemLog-in. Over the next minimum seven years, NNIT will handle operations of the third generation of the successful portal to public digital self-service in Denmark. NemLog-in is the keyhole to the digitized public administration used by almost every Danish citizen and 250,000 companies and public authorities. Citizens and employees use it e.g. to access their tax balance or order a new passport. NNIT has managed both operations and development since January 2013, and the two tasks are now offered separately. The tender for the operation of Nem-Login was published in November 2017. Four suppliers were prequalified, and NNIT provided the offer with the best balance between price and quality. Based on the strong cash flow NNIT will pay out an interim dividend in August 2018 of DKK 49.1m in cash equal to DKK 2 per share of a nominal value of DKK 10. 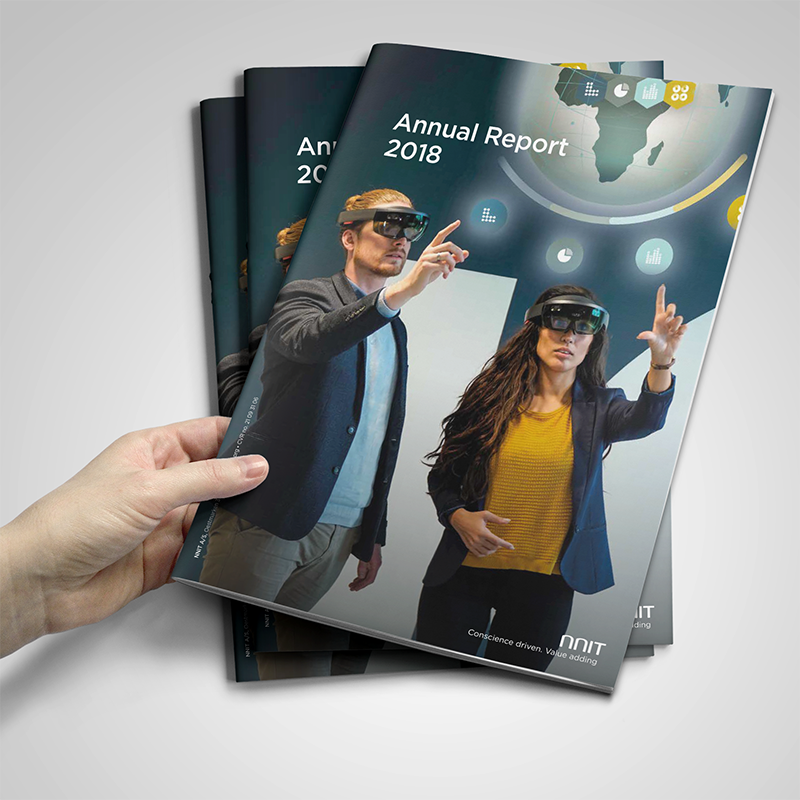 Per Kogut, CEO at NNIT says about the results for the first three months of 2018: "I am encouraged by the continued strong growth in particular the enterprise and international life sciences customer groups. The decline in revenue from the Novo Nordisk Group was larger than expected and we have therefore adjusted our revenue growth guidance for 2018 to 3-6%. Under these circumstances, I am pleased that we have maintained our operating profit margin guidance of 10-10.5%." NNIT will host a teleconference May 16, 2018 at 10:30 CET about the financial report for Q1 2018. Please visit the NNIT webpage at www.nnit.com to access the teleconference, which can be found under ‘Investors – Events & presentations’. Presentation material will be available on the website approximately one hour prior to the start of the presentation. NNIT will deliver full stack of corporate IT services to NNE who is experiencing growth with focus on the international life science industry. 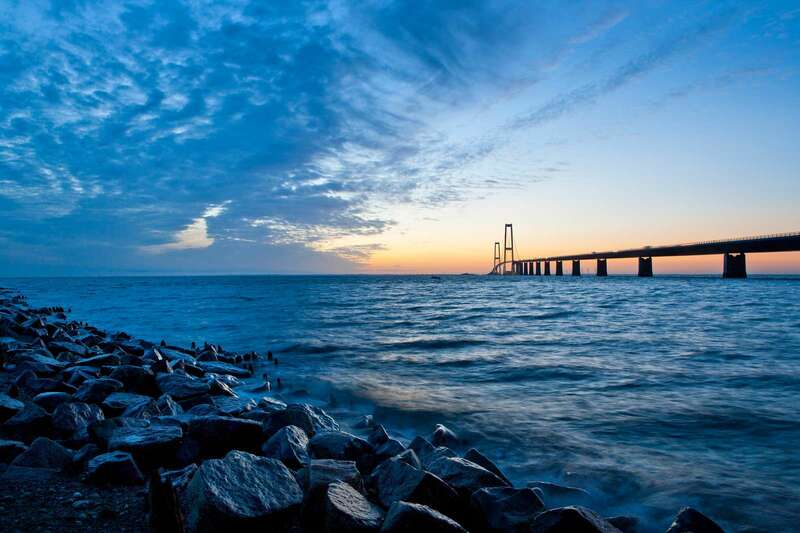 NNIT has approximately 350 clients of which around 100 are located outside Denmark. Some 20% are international life science clients. Copenhagen, April 26, 2018 – NNIT, a leading provider of IT services and consultancy signs an IT outsourcing agreement with NNE, owned by Novo Nordisk A/S. Like NNIT, NNE was born and raised in the Danish pharma industry and is today an international engineering company targeting customers from its industry of origin. Specialized in pharma engineering, NNE provides flexible, compliant and future-proof solutions that help pharmaceutical companies bring products to market. As part of the new agreement, which was signed today, NNIT will take over the global IT infrastructure for NNE. The broad portfolio of services to NNE will include remote infrastructure management to affiliates, global end user support services and full capacity hosted in NNIT’s datacenters located in Denmark. By choosing NNIT, NNE will get flexible and scalable IT services while obtaining operational excellence and a high security level. NNIT will assume 27 employees from NNE, who will be welcomed by approximately 1,600 colleagues in Soeborg and 800 colleagues in China, respectively, out of a total of more than 3,000 colleagues globally. About NNITNNIT A/S is one of Denmark's leading IT service providers and consultancies. NNIT A/S offers a wide range of IT services and solutions to its customers, primarily in the life sciences sector in Denmark and internationally and to customers in the public, enterprise and finance sectors in Denmark. NNIT A/S has more than 3,000 employees. For more information please visit www.nnit.com. Follow this link to view an online version of the release at Nasdaq.